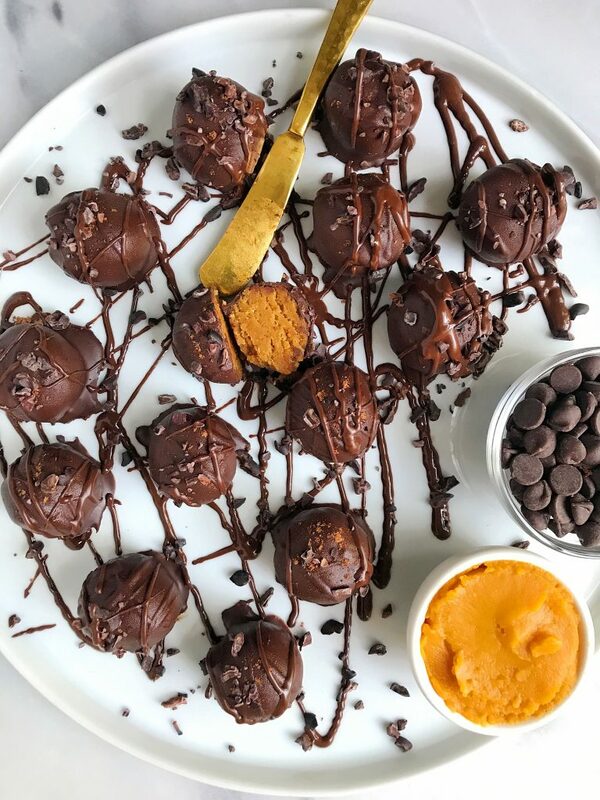 Simple + Easy Paleo Fudgy Pumpkin Pie Truffles made with just 7 ingredients! I have been keeping these truffles a secret for weeks now and I am SO EXCITED to finally share them with you! I pretty much crave some type of rich + chocolate-y something daily and now with all that Fall fever around us, pumpkin has been on my mind (shocker!). 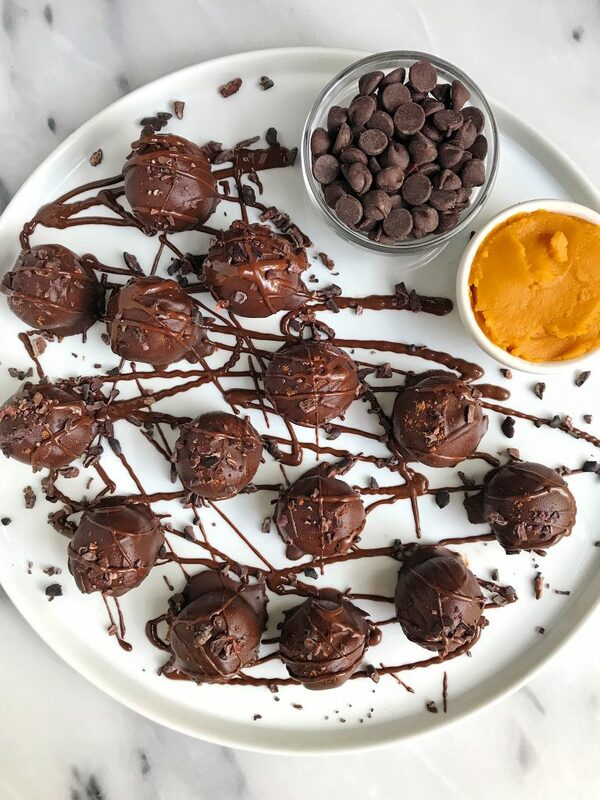 These Paleo Fudgy Pumpkin Pie Truffles are super simple and easy to make, plus they have collagen peptides in them for an added bonus. I officially am addicted to them. We can eat truffles and get our collagen peptides fix in all at once, helllllo! 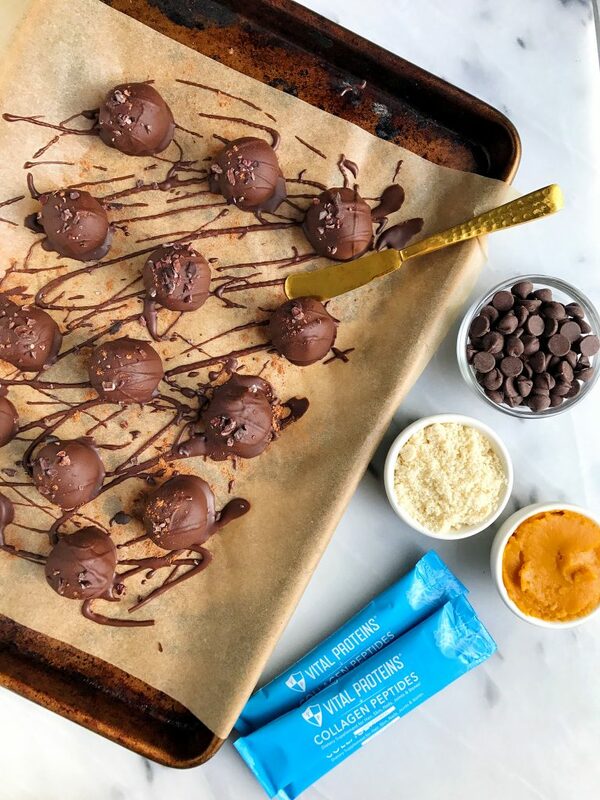 What I also love about these truffles is that they are completely grain, gluten and dairy-free. They are also only sweetened with just a couple tablespoons of maple syrup (you can even omit if you’d like) to keep these lower in sugar than your average dessert. I have a large Vital Proteins Collagen Peptides container. What is the actual amount of CPs to add or how much is one of the small packets?